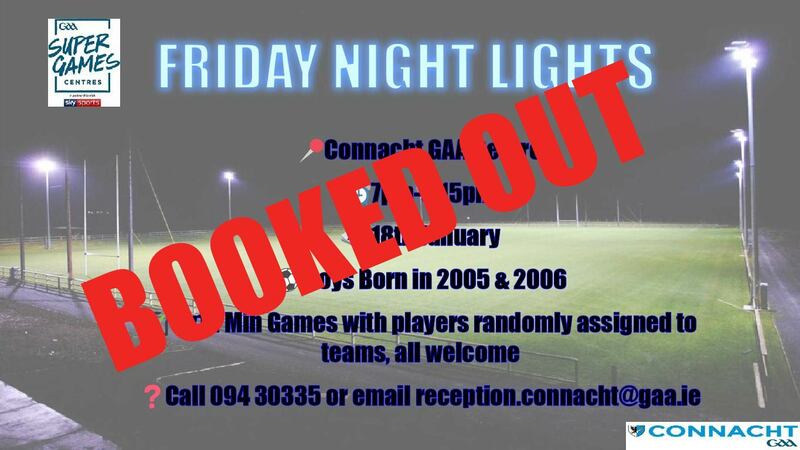 Please be informed that the Connacht GAA “Super Games Friday Night Lights” taking place on the 18th January is now BOOKED OUT with over 200 players registered. If you or you club have not registered we cannot accommodate you or any walk ups on Friday evening the 18th. Friday night week the 25th we will be running a second “Super Games Friday Night Lights ” with more dates potentially to be announced in the new year. The registration form for this event will be posted on Saturday the 19th here.